As the Houston metro area begins to rebuild after the flooding brought by Hurricane Harvey, many homeowners are returning to homes that have had several feet of floodwater in them for a number of days. And because the flooding was so bad, many of the residences that suffered damage weren’t even required to have flood insurance. In many cases, it is up to homeowners to start the cleanup and restoration process. So where should homeowners start in the residential cleanup process? Before you start gutting the house take photos. For insurance purposes, you’ll want a record of your home post flood. It will help with your claim. Water gets in everywhere. When you first arrive back at your house, your major concern should be getting things back to a clean dry state. Carpets, wood floors, and walls – including insulation and drywall – can absorb water and start to mold quickly. 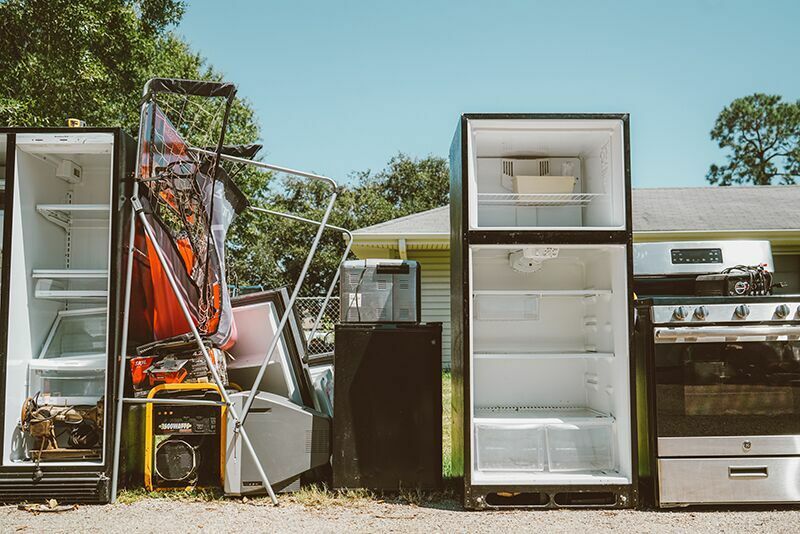 Things like beds, furniture, cabinets, and other household items that sat in flood water will also need to either be cleaned and salvaged or disposed of. The quicker you can remove water-damaged items the better. Walls – In some cases, homeowners will need to strip walls down to their wooden frames. Be sure to create a temporary watermark line along your walls. You’ll want to remove any damaged drywall and insulation two inches above the water line. Cabinets and Wooden Furniture – Not all cabinetry and wooden furniture will need to be removed. Depending on how porous it is some hardwoods are particularly resilient to water damage. Composite materials are more likely to warp and suffer damage. 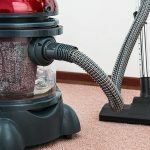 Household Items – Of the items that you can salvage, you’ll want to make sure that you can disinfect them. There is a lot of bacteria and other pollutants that can cause damage. This applies to kids’ toys, dog toys, anything in cabinets, electronics and more. Appliances – Unfortunately, insulated appliances will most likely need to be replaced. Because the foam insulation in the majority of appliances absorbs water, they become breeding grounds for bacteria. Most of your fridges and ovens have foam insulation. Microwaves, dishwashers, and compactors should be okay, unless you’ve suffered serious, long-term flooding. Floors – Carpet, padding, vinyl, and wood flooring will most likely need to come up. It’s probably one of the first things you’ll want to do as it will start to smell pretty quickly. Luckily, getting flooring up is fairly easy and you can knock out a moderately sized house in a few hours with the right tools. Electrical – Because Harvey flooded with freshwater as opposed to salt water, for the most part, your electrical system will be fine once it dries out. Outlets and switches that were under water will need to be replaced either way. Upholstered Furniture and Decor – You most likely won’t be able to keep your upholstered furniture, drapes, or mattresses. Anything that spent a considerable amount of time in flood water will be too dangerously contaminated with microorganisms to keep. There are a lot of other considerations when dealing with flood damage, like your foundation, issues with plumbing, and more. But those most often require professional intervention to properly mitigate those problems. Feature photo credit to Jody Domingue. She’s an Austin-based photographer. Check out her series on Port Arthur cleanup over at herHurricane Harvey Facebook album.